BBC TRANSCRIPT: "HAS SOMEONE BEEN SITTING ON THE FBI?" TRANSCRIPT OF BBC REPORT: "HAS SOMEONE BEEN SITTING ON THE FBI?" Some thoughts concerning the Bush-Bin Laden family connection. In the transcript below, the BBC suggests that the Bush people suppressed the FBI's attempts to investigate the connections between the terrorist group, WAMY, and the Bin Laden family, because the Bushes and Bin Ladens have business ties. Many who are suspicious of the official 9-11 story hold a similar view. They see the moneymaking ties that have existed between the Bushes and the Bin Ladens as the reason Pres. Bush has gone easy on the Bin Ladens. This seems especially believable to middle and working class people, because for us a little money means a lot. Perhaps, in publishing 'Bushladen,' Emperor's Clothes has unwittingly fostered this view. As for the Bin Ladens, Osama went to Afghanistan not as some lone fanatic, but rather as the representative of Saudi royalty, because his billionaire family is part of the ruling class of Saudi Arabia. The Bushes have known the Bin Ladens for years, for the same reason that you know and socialize with the people you work with in your English Department, your factory, your office or your Army barracks. And because people like the Bushes and Bin Ladens do not ever associate with people like you or me or the guy in the barracks, it is easy for them to view us as different, and lesser, and expendable, and really like nothing at all. Despite all the image-making hype. Consider the great distance from which this man views - cannot help showing that he views - ordinary people. Cannot help showing it even when he tries to sound compassionate: "A nobody to me." And, "May have a life to lead." Do you know anybody who may have a life to lead? For people in the milieu of the Clintons, and certainly, further up on the financial scale, the Bushes and Bin Ladens, making a few million dollars is nice, but not sufficient motive to determine strategic policy. The Bushes and Bin Ladens do not stick together because they are in some secondary business together. Rather, it is perfectly natural that they go into business together because they inhabitant the same social circles, which happen to be the controlling circles of the American Empire. Since they are part of those circles, and since both families have historically provided special services to the ruling forces, it follows that those families are a natural source of top level recruits for U.S. covert operations, such as Mr. Bush Sr., who headed the CIA, and Mr. Osama bin Laden, who was sent to Afghanistan in 1980 precisely to represent the interests of - that is, as the top operative for - the Saudi royal family, an important part of the U.S. Empire. As we have demonstrated in 'Gaping holes in the 'CIA-Vs.-Bin Laden' Story,' (1) Osama is still working closely with the CIA. At the moment, he is providing a crucial service. He is making statements calculated to provoke mass revulsion in Europe and the North America. These statements are intended to morally justify the morally unjustifiable slaughter in Afghanistan. Moreover, Osama's statements divert public attention from the facts on the ground, which are that the U.S. is not trying to destroy the terrorists in Afghanistan. That is why Pres. Bush recently ordered (!) the Northern Alliance NOT to take the Afghan capitol, Kabul! Rather, the U.S. government is trying to re-form the moderate (read: manageable) terrorist forces among the Northern Alliance and Taliban into one U.S.-controlled group, to use against the countries of the former Soviet Union, as well as Iran, China and so on. The purpose of bombing Afghanistan is to make clear to the terrorists - - and also to independent-minded people in the surrounding countries - that resisting U.S. control is counterproductive. The Bushes and bin Ladens do not 'cover' for each because they do business together. Rather, they do business together, and also 'cover' for each other, because they are part of what one might call the same class, because they have therefore come to know each well, socially, and are deeply engaged in helping carry out the same monstrous world strategy. The transcript below is posted exactly as distributed by the BBC, including the note on "this transcript," which follows. If you wish to read more about the holes in the official 9-11 story, see FURTHER READING, after the transcript, or go to www.tenc.net, the Emperor's Clothes Website. The FBI wanted to investigate these guys. This is not something that they didn't want to do - they wanted to, they weren't permitted to. The secret file fell into the hands of national security expert, Joe Trento. The Washington spook-tracker has been looking into the FBI's allegations about WAMY. They've had connections to Osama Bin Laden's people. They've had connections to Muslim cultural and financial aid groups that have terrorist connections. They fit the pattern of groups that the Saudi royal family and Saudi community of princes - the 20,000 princes - have funded who've engaged in terrorist activity. Newsnight has uncovered a long history of shadowy connections between the State Department, the CIA and the Saudis. The former head of the American visa bureau in Jeddah is Michael Springman. In Saudi Arabia I was repeatedly ordered by high level State Dept officials to issue visas to unqualified applicants. These were, essentially, people who had no ties either to Saudi Arabia or to their own country. I complained bitterly at the time there. I returned to the US, I complained to the State Dept here, to the General Accounting Office, to the Bureau of Diplomatic Security and to the Inspector General's office. I was met with silence. 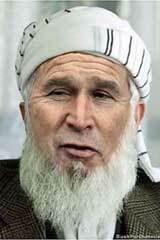 By now, Bush Sr, once CIA director, was in the White House. Springman was shocked to find this wasn't visa fraud. Rather, State and CIA were playing "the Great Game". What I was protesting was, in reality, an effort to bring recruits, rounded up by Osama Bin Laden, to the US for terrorist training by the CIA. They would then be returned to Afghanistan to fight against the then-Soviets. I would never be surprised with that. They're cut off at the hip sometimes by supervisors or given shots that are being called from Washington at the highest levels. I showed lawyer Michael Wildes our FBI documents. One of the Khobar Towers bombers was represented by Wildes, who thought he had useful intelligence for the US. He also represents a Saudi diplomat who defected to the USA with 14,000 documents which Wildes claims implicates Saudi citizens in financing terrorism and more. Wildes met with FBI men who told him they were not permitted to read all the documents. Nevertheless, he tried to give them to the agents. "Take these with you. We're not going to charge for the copies. Keep them. Do something with them. Get some bad guys with them." They refused. In the hall of mirrors that is the US intelligence community, Wildes, a former US federal attorney, said the FBI field agents wanted the documents, but they were told to "see no evil." You see a difference between the rank-and-file counter-intelligence agents, who are regarded by some as the motor pool of the FBI, who drive following diplomats, and the people who are getting the shots called at the highest level of our government, who have a different agenda - it's unconscionable. State wanted to keep the pro-American Saudi royal family in control of the world's biggest oil spigot, even at the price of turning a blind eye to any terrorist connection so long as America was safe. In recent years, CIA operatives had other reasons for not exposing Saudi-backed suspects. If you recruited somebody who is a member of a terrorist organisation, who happens to make his way here to the US, and even though you're not in touch with that person anymore but you have used him in the past, it would be unseemly if he were arrested by the FBI and word got back that he'd once been on the payroll of the CIA. What we're talking about is blow-back. What we're talking about is embarrassing, career-destroying blow-back for intelligence officials. You have a key relationship between the Saudis and the former President of the US who happens to be the father of the current President of the US. And you have all sorts of questions about where does policy begin and where does good business and good profits for the company, Carlyle, end? Emperor's Clothes relies on donations from people like you. Note: Please write emperors1000@aol.com to make sure we receive your donation. Thanks!